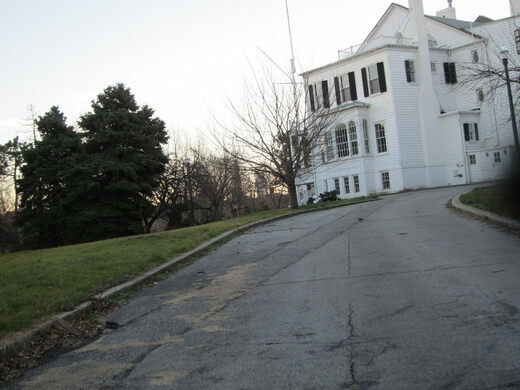 The Commandant’s House was built in the early 19th century to accommodate the commandant of the Brooklyn Navy Yard—once an epicenter of the American warship production. Con Edison’s exotic and heat-loving pests. Today, in spite of peeling paint and some superficial damage to the mansion, the Commandant’s House endures as a dignified yet incongruous constituent of the Vinegar Hill neighborhood. Its anachronistic, Federalist-style architecture has made it a curiosity among DUMBO and Vinegar Hill residents. It is speculated, although not confirmed, that Charles Bulfinch—the architect widely regarded as America’s first—designed the Commandant’s house. The design idiosyncrasies of the house also raise questions: for instance, why do the dimensions of the oval dining room seem to correspond exactly with those of the Oval Office? 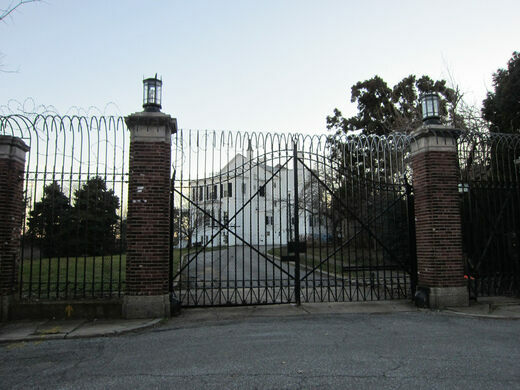 Since the close of the Navy Yards in 1964, the mansion has been owned privately. The best view of the secluded Commandant’s House is from Evans Street, where, looking past its impressive gates, you can often see a collection of vintage cars parked in the driveway. In 1974 the Commandant’s House earned its current status as a National Historic Landmark. Its designation as a landmark is in recognition of Commodore Matthew C. Perry’s occupancy of the mansion during his talks with the Japanese shogunate in 1854 that ultimately opened Japan’s ports to the US in an important trade agreement. These days the house appears unsettled. 2,000 barrels of aging beer hidden in a warehouse at the Brooklyn Navy Yard.